We get exactly what we want. Over the last few days I have bumped into an article by Rhonda Stephens entitled, “Parenting: Are We Getting A Raw Deal?” I saw it once and read it. I saw it a second time and read it again. The first time I laughed and remembered my childhood and how it reflected much of what Stephens wrote. I appreciated that at the end she makes it clear that maybe the current state of affairs is not the way things ought to be. Then it struck me, kids only do what parents allow them to do or not do. Her rant was great. But, maybe I missed it, is she making changes in her home? Is she calling for anyone else to make changes? I am reminded of a marvelous section of Donald Miller’s book, A Million Miles in a Thousand Years, where he talks about a family waking up to a similar reality. The dad made changes. It was hard but it transformed the family. Parents we must step up, take ownership, and change the dynamic. If you don’t like everyone getting participation trophies, get on the board and change it. You don’t like that your kids sleep till 11 during the summer and don’t do their chores? Put on the big boy or big girl pants and change it. We have this weird glorified image of family dynamics from the past. I remember my mom going on strike, crying, yelling, whatever she determined the level of “mom-nipulation” that was required for my brothers and I to accomplish what needed to be done. Why did she need to do it? Because we woke up and didn’t “just do” whatever Mom told us to do. We didn’t want to clean toilets, vacuum, dust, do laundry, mow, trim, or weed. We were more than happy to ignore the list. When we did, there were consequences and she never backed down. There were many days that Mom turned us out of the house and said, “Don’t come in until dinner.” Do you know what happened when she did (especially in the winter)? We threw fits and talked about how mean she was for a good twenty minutes before we started even making an effort to have fun. It turns out that adults really are adults. Let’s stop the woe is me, these kids are so bad, baloney. They are the way they are because we made them that way. So, the next time you’re about to complain on Facebook about how kids don’t drink from the hose, don’t do chores, don’t play outside, or whatever else it is that you’re about to complain about, stop for a moment. 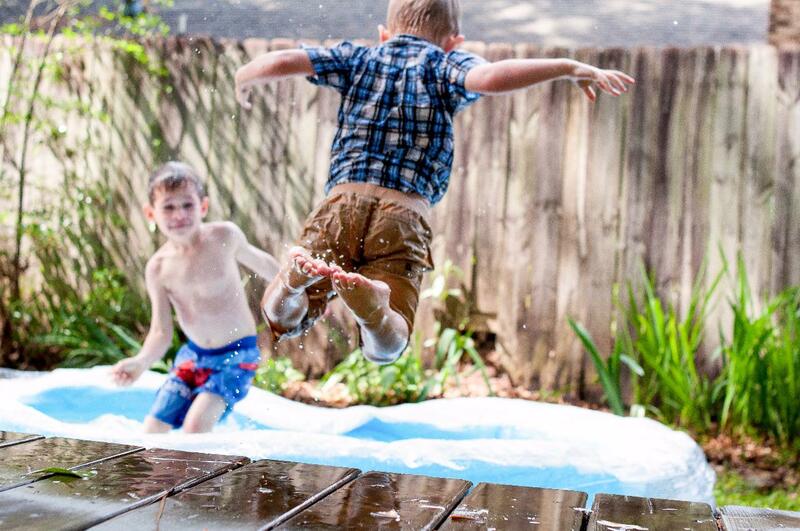 Ask yourself some questions: “Have I sent my kids outside like my Mom used to do? Have stood up to my kids and made them do their chores? Have I even considered giving them chores? Have I .
I don’t have it all figured out. But, I have found that my wife and I do a better job parenting when we are clear that we are the parents and the kids are the kids. There will come a day when we will be friends, God willing, but right now they are the kids and we are the parents. If you feel like you’re getting a raw deal, like Stephens says, then change the deal. You’re the parent, you get to do that.